Have you ever been on a Big Five Safari in Africa? It truly is a bucket list experience. These beasts rule the animal kingdom, and they are a sight to behold. Many people have heard of the Big Five, but few know how they came to be known as “The Big 5“. The Big Five are called that because they are the five most difficult animals to hunt on foot. When people talk about the big five in Africa, they are explicitly talking about the lion, leopard, rhino, Cape buffalo, and the African Elephant. These animals are dangerous because they are incredibly unpredictable, very intelligent, are masters of camouflage, and can be very aggressive. Many of the travel in large groups, making them even more deadly. Many of these beasts are listed as endangered or vulnerable on the IUCN Red List, but of all the Big Five animals, the rhino is the most endangered. 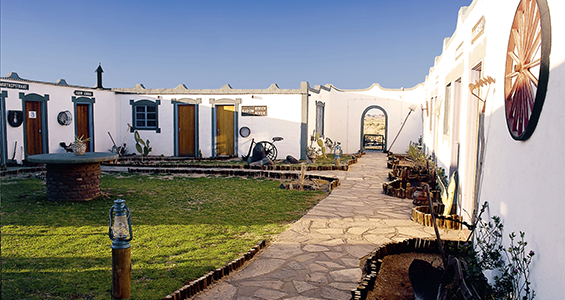 Want to experience the Big Five for yourself? Be sure to get in contact with us and let us plan your dream safari! It’s all women’s work in the lion’s pride. Learn who eats first and who gets the scraps among these big cats. The lion is one of the most recognizable members of the animal kingdom. 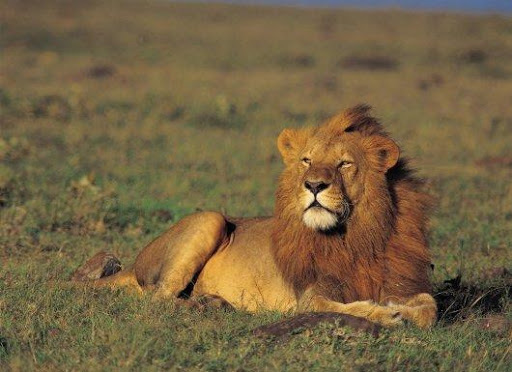 Male lions have a prominent mane, and the older the lion is, the darker the mane becomes. The mane of a healthy male lion would also be thicker and larger than that of other lions. Lionesses tend to favour males with darker and thicker manes when it comes to mating. Lions are social animals who live, and function in a group called a pride. Every member of the pride plays a particular role in the group. The female lions, also known as lionesses, usually hunt together in a pack. When there are cubs present in the pack, some of the lionesses will join the hunt and others will stay behind to stay behind to take care of the cubs. The cubs will also suckle indiscriminately on any lioness, as they tend to synchronize their fertility cycles to ensure the safety of the cubs. Lionesses sync their birthing since older cubs might attack the younger cubs, but if they are all more or less the same age, this danger does not exist. Also, lionesses with cubs are more tolerant of other lionesses’ cubs. Want to experience the rush of seeing a lion in the wild? Let us make your dream come true! The lion is an apex predator. An apex predator is an animal that has no natural predators. This puts the lion at the top of the food chain. They are only preyed on by humans, but many of them succumb to attacks from other lions or are killed by animals like the Cape buffalo during the hunt. Lion cubs are killed and hunted by many carnivorous animals like leopards and hyenas. Lions mostly hunt during the day, but when they are persecuted, they will adapt to hunting at night. The lion’s closest relatives are the tiger, snow leopard, jaguar, and leopard. Males are larger and more robust than females. Lionesses do most of the hunting, while male lions tend to defend the pride against intruders. They are known to be generalist hypercarnivores. A hypercarnivore is an animal whose diet consists of more than 70% meat. Lions are killing machines. The lion’s attack on its prey is short and powerful, with lions not necessarily being known for their stamina. However they can reach speeds of up to 60km/hour over short distances when attacking prey. Their prey is usually killed using strangulation or asphyxiation. A lion can eat up to 30kg in one session. They do not only hunt for their prey, but they also scavenge and feed off carrion. It is commonly believed that hyenas steal kills from lions to feed on, while in actuality it is more common for lions to steal kills from hyenas in Africa. Scavenging forms a large part of a lion’s food gathering operation. Lions tend to roar in long deep roars, ending in shorter ones. A lion’s roar can be heard from 8 kilometres away. Most lions are found in East and Southern Africa. The African leopard varies greatly in size and colour depending on the location and habitat. The African leopard is found throughout large parts of Africa. Male leopards are larger than female leopards. Leopards inhabit many different habitats. They can live comfortably almost anywhere except in an extremely sandy desert. Leopards tend to be very adaptable and can easily move from area to area when threatened. These big cats are nocturnal by nature, and do a majority of their hunting after sunset. They have a varied diet, ranging from antelope and insects to reptiles. Never seen a leopard in person before? Want to change that? We can help! 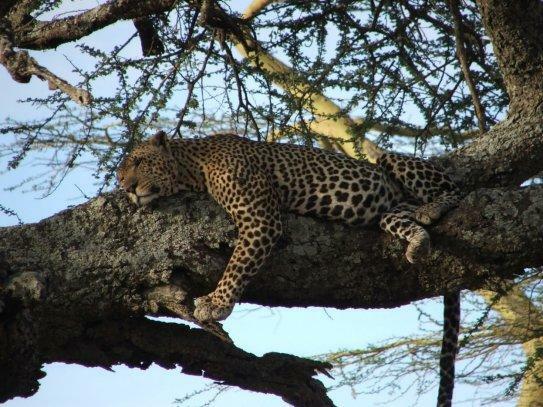 They hide large kills (like impala) in trees, which often entails moving carcasses two to three times their own body weight from the ground to the trees’ branches, where they hang the carcass. Of all the big cats, leopards are the strongest climbers. At times, a lioness might be able to climb a tree to retrieve the kill stashed there by the leopard, but generally other animals are not able to reach the carcasses that leopards hide in the trees. When another animal tries to steal a leopard’s kill, they tend to flee rather than fight to protect their kill. They are solitary animals and do not usually stay in the same spot for more than a few days. They are excellent swimmers and enjoy being in the water. Their spots are called rosettes and provide excellent camouflage for them, especially when they are hiding in trees. The leopards living in the Cape mountains tend to be roughly half the size of the leopards found elsewhere in Africa. When living close to human settlements, leopards tend to attack and kill livestock and, as a result, are hunted by local communities. The African Leopard is extremely elusive and very difficult to spot. The word “Rhinoceros” comes from the Greek words meaning “nose-horned”. Rhinos are herbivores and lack front teeth, so they use their lips to pluck food. They are hunted for their horns, which are sold on the black market. Many attempts have been made to stop the trade in Rhino horn, but it remains an ongoing battle. 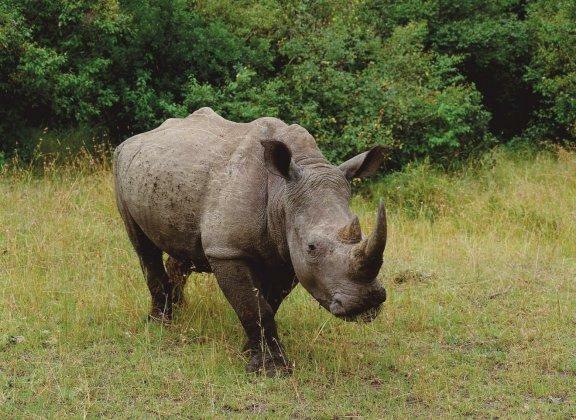 African Rhinos have two horns. A group of rhinos are called a herd or a crash. The two African rhino species are the white rhino and the black rhino. The main difference between the white and the black rhino is the shape of their mouths. White rhinos (the original name being derived from the word “wide”, referring to the shape of their mouths) have wide or broad mouths, while the black rhino has long pointed lips. The black rhino was named to contrast with the name white rhino. Witnessing the power of a rhino is something you will never forget! Book a safari now to build life long memories! The African buffalo or Cape buffalo has large horns with a fused base, this fused base is called a boss. These buffalo are very dangerous and extremely aggressive. Unlike the water buffalo, the African buffalo has never been domesticated. They don’t have many natural predators, excluding lions and crocodiles, and they are very capable of defending themselves. Buffalo have often been seen killing lions. When one of the herd is being attacked, the herd will respond to the distress call and ward off the attackers. They are very adaptable when it comes to habitat, but they require water daily. Because of its aggression and unpredictable nature, the Cape buffalo is also known as the “Black Death” and the “Widowmaker”. The Cape buffalo has killed more hunters in Africa than any other animal. 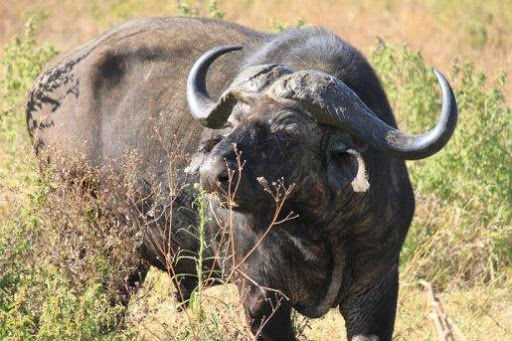 An African buffalo has an excellent memory, and according to research they can recognize a hunter that has threatened or hunted them before, and they will react violently to that person. Do you want to meet the most dangerous of the Big Five? Let us arrange a meeting for you! Elephants can’t jump, but they can run at 40 km per hour! 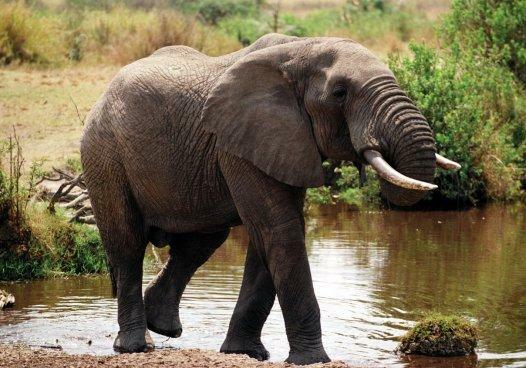 The African bush elephant is the largest living terrestrial animal. They are unusual looking creatures of enormous size, with large ears, a long slim trunk and intimidating tusks. Their ears enable heat loss. The elephant would flap its ears fanning its body to enable heat loss. Their upper lip and nose form a trunk. The tusks are used for digging roots and stripping bark from trees and also for fights with other elephants, and for defending themselves against predators. Both male and female African elephants have tusks. African elephants are highly intelligent. They have a well-developed neocortex, similar to humans, apes, and dolphins. Elephants also possess large brains, similar to humans. They live in large groups, most often led by a matriarch. Elephants share many human characteristics and emotions, and through studies, it has been possible to determine that elephants experience emotions such as grief, joy, anger, compassion, and they are capable of complex thought and feeling. These huge beasts love to swim and can use their trunks as snorkels. They communicate over large distances at frequencies not always audible to the human ear. Can you hear the call of the wild? We can help you answer it! The Big Five are fascinating animals and no photo or book can adequately prepare you for the opportunity to see these beasts in real life. If you do want to experience the Big Five for yourself, be sure to get in contact with us and let us plan your dream safari!